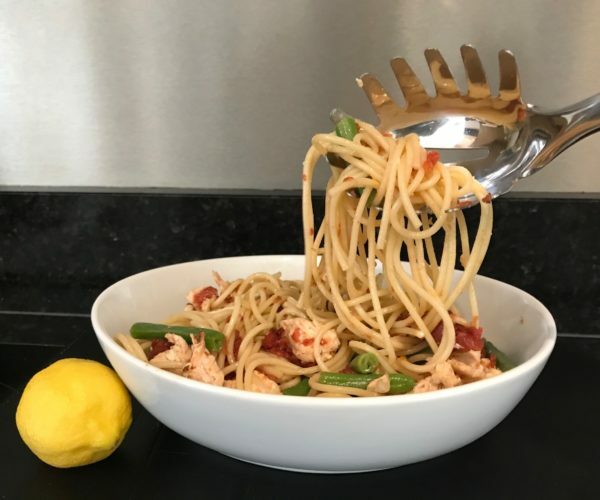 Here’s a twist on Spaghetti, the fork-twisting favourite: cold Spaghetti in a salad! And another twist: roasting the canned tomatoes whilst you cook the chicken. You won’t believe how delicious it is. Of course, you can assemble it from left-over spaghetti, pre-cooked or left over roast chicken, and drained chopped tomatoes instead… either way, it’s a new winner. 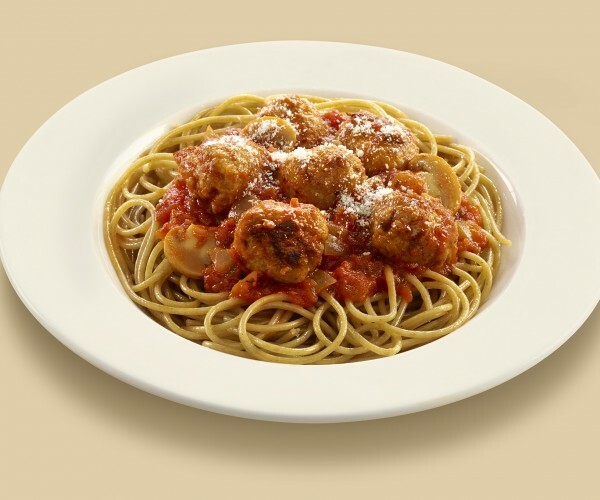 Spaghetti Meatballs: a family favourite with its own song! It’s easy to make meatballs from any sausage, so you can choose the flavour and texture you like best. Pile the meatball sauce onto the spaghetti then sing loudly. That’ll bring everyone to the table to make sure there are plenty of meatballs ‘on top of spaghetti, all covered in…’ sauce. And cheese too, if you like, to continue the song. And then just tuck in! 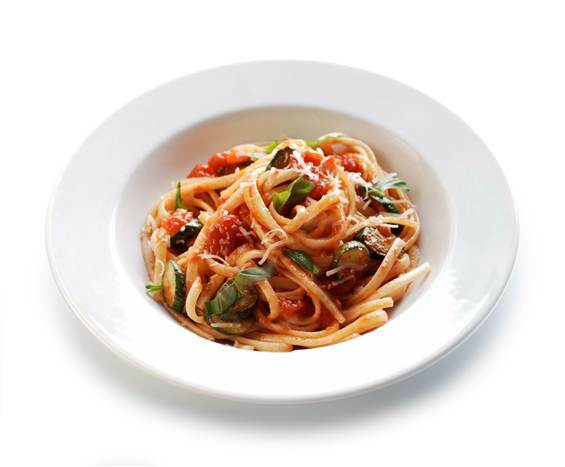 Based on the traditional Linguine Alla Nerano dish, with the added twist of juicy Italian tomatoes, this makes a filling and delicious meal. Nerano is an Italian coastal town not so far from the town of Gragnano, the traditional home of our authentic Italian Pasta, and this sauce is so good with Spaghetti. Olive Oil, a can of tomatoes and a couple of fresh ingredients and hey presto! Supper. Magical. Sometimes a jar of ready-made sauce looks appealing but just look how easy it is to make your own in the time it takes to cook the Pasta! 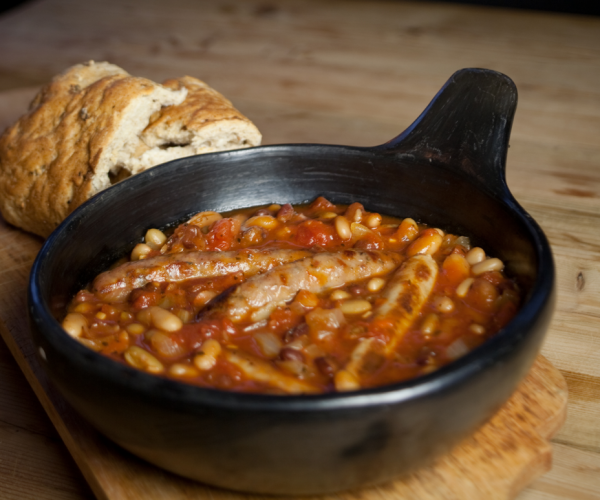 You’ll know exactly what’s in it, and you can vary the quantities and ingreidents to suit your family’s taste. How easy is that?! A family favourite that’s also easy to prepare …and the dish itself will summon them all to the table with its wonderful aroma from the oven. You can easily add fried bacon pieces, left-over cooked chicken or tinned tuna to the mix before you put it in the oven, to suit any appetite. Children and adults alike will love this comforting and scrumptious one-pot casserole which can be prepared before you set off for a long walk or a bonfire party. All you need to do when you come back from the fun is heat it up and serve. 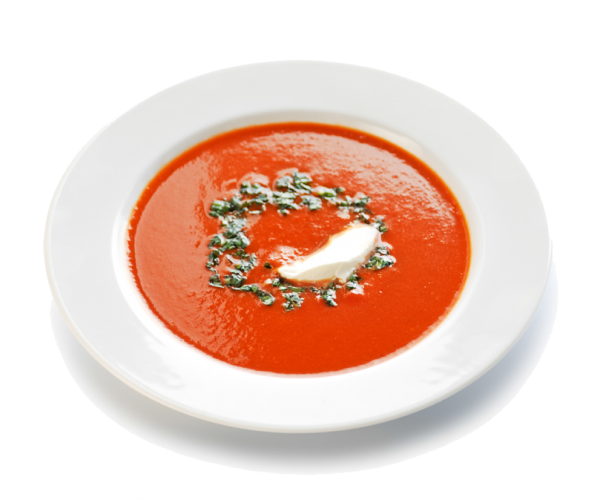 The intense red of Italian tomatoes marries perfectly with the richness of red peppers to create this beautiful and delicious soup which is perfect with warm Italian bread for a family lunch or supper. The roasting of the garlic takes a little while but is well worth the wait. 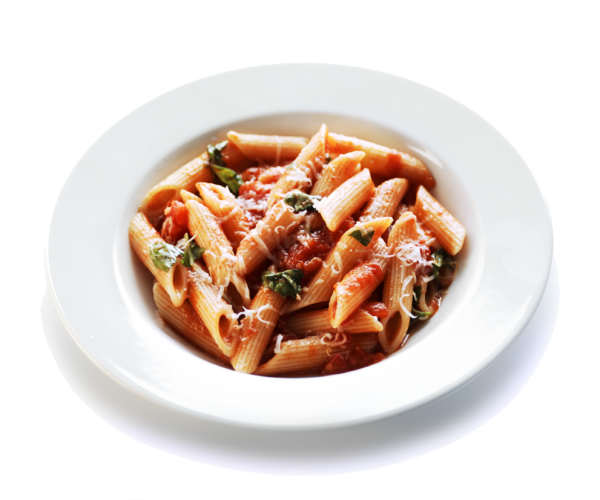 Penne Arrabbiata is quick and easy, yet so delicious even if it is difficult to spell… it’s 2 rs, 2 bs & one t: Arrabbiata, not arrabiata nor arrabiatta nor any other combo! 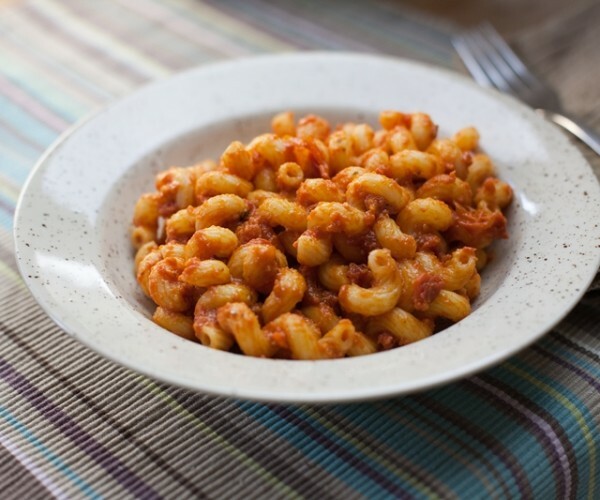 The real beauty of this dish is that it’s very simple to add any other ingredients which you fry off for a few minutes before adding the garlic: try pancetta or chopped bacon, pepperoni slices or chopped vegetables. Suddenly you have your very own special dish – or range of dishes – and of course, you can add more chilli to suit your personal taste. Tasty!! 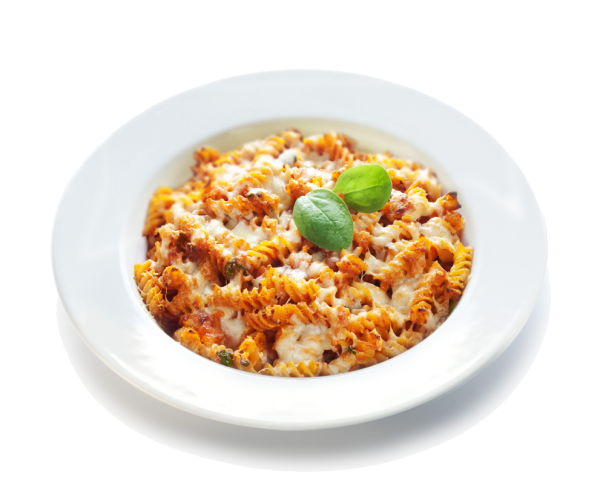 …or ‘Woodman’s Pasta’ in English. 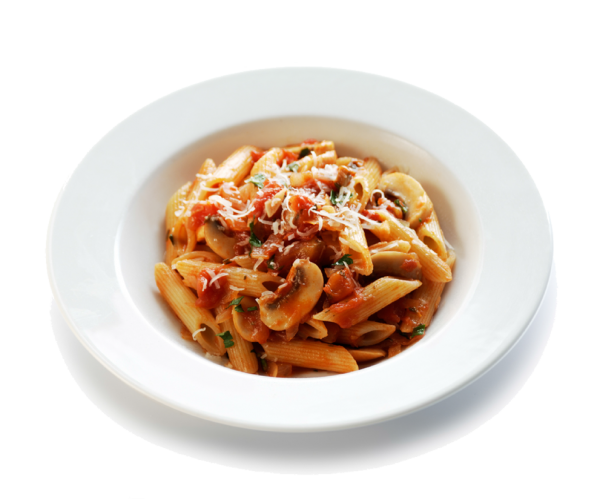 For a tasty twist to a family favourite, this recipe simply adds the hearty taste of mushrooms to a tomato-based sauce which is ideal with Penne. As the recipe suggests, it works well with any type of muchroom, whether fresh or dried: your choice to suit your taste. Minestrone literally means “the big soup” in Italian as it is hearty enough for a full meal. There is no set recipe for minestrone: every family makes their own version, often with seasonal vegetables or whatever is in the fridge and almost always with pasta. 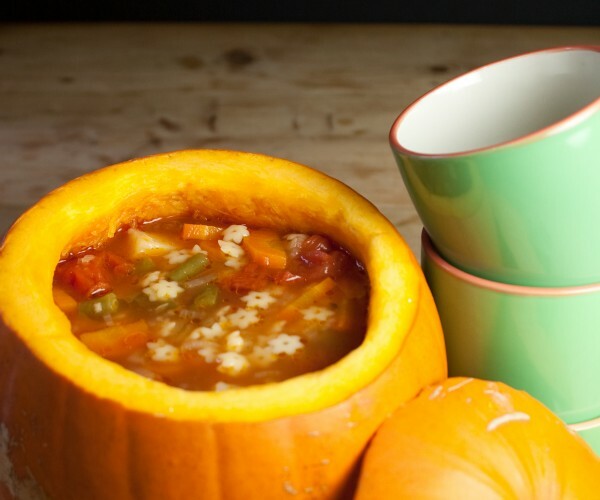 Our minestrone soup is quick and easy to prepare, and makes a hearty lunch or supper. Perfect for when you’re not sure when people will be ready to eat: prepare it ahead, and then just add the Italian pasta for the last 10 minutes. Authentic Italian ingredients for real Italian taste.